Celebrate the spirit of freedom and America’s legacy of being the world’s oldest democracy by distributing giveaways among customers and employees while observing Independence Day! A lot of our customers believe in the marketing exposure that can be achieved by launching patriotism-themed marketing campaigns. We recommend you opt for a similar campaign to get firmly imprinted in the minds of your target audience for years to come! 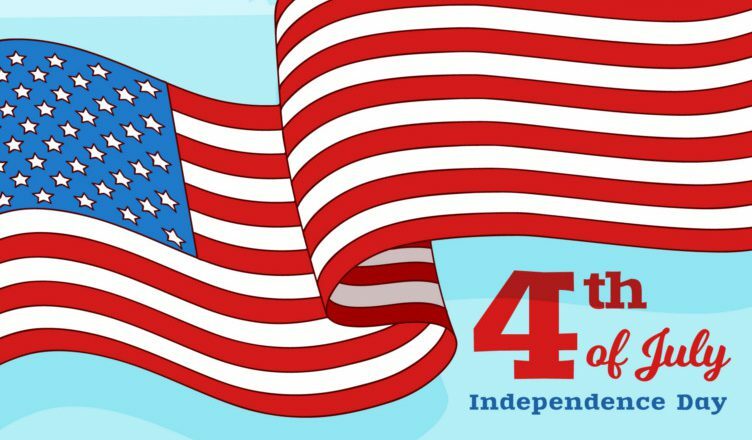 Every year, a lot of our customers approach us for promotional ideas to make their Independence Day campaign a big hit – we have made things easier for you with this list. The products featured below are made in the USA and will serve as brand ambassadors during your Independence Day-themed marketing campaign! This product is part of our FREE 24 Hour Service, which means that you can order today and we will ship tomorrow! This twist-action ballpoint pen has a high gloss lacquer brass cap. It also has the world map on the barrel. A chrome-based clip adds to the product’s visual appeal. This wood pencil features a #2 graphite lead and comes with a black ferrule and eraser. The pencil’s color changes as indicated in the box. There are a variety of colors to choose from! Here is another product from our Free 24 Hour Rush Service category. This 25 oz. bottle will flavor beverages with the user’s choice of fresh fruits or herbs! Made of PET materials, this product features a spill-resistant sip top lid and a convenient carry handle. The fusion bottle meets FDA requirements and is BPA free. Here is a great book that helps kids learn the importance of using the emergency 911 phone number. It features 12 pages of fun that kids will love owning! Recipients will gladly take this story book home to their kids! This key tag features the American flag and is made of Flex-Soft touch material. It features a 1″ split-ring attachment to conveniently secure keys. Each tag comes individually polybagged. This classy mug features a design of the American Eagle deeply molded into the solid bottom to producing a handsome image. Made of glass, this product can win hearts in no time! Did you find the products featured here useful? Get in touch with us for more giveaway or marketing tips and we will gladly be of help! Our team looks forward to serving your needs soon!